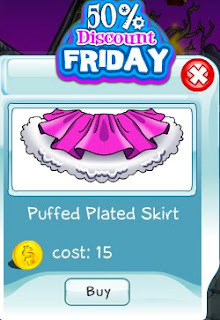 This week's 50% Discount Friday item is the Puffed Pleated Skirt. This pink skirt has a ton on puffed pleats underneath. Get the skirt today before the discount ends today.